Well this is the part of the trip we are looking forward to the most. 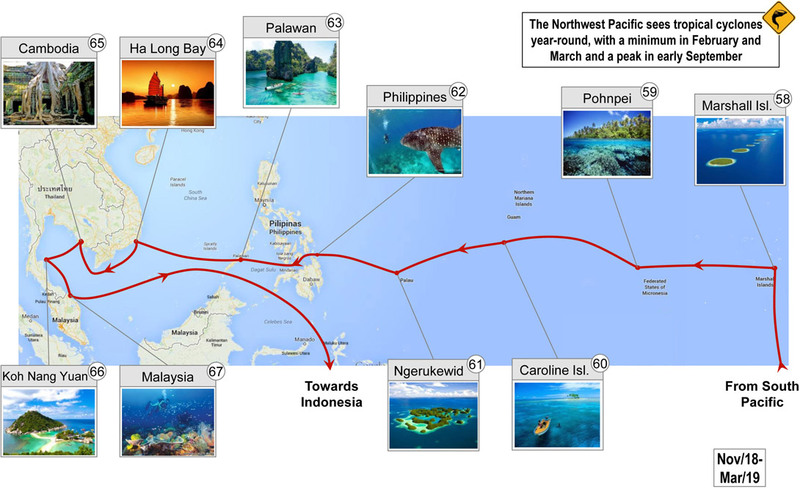 Marshall Islands, Micronesia, Caroline Islands and Palau are a complete mystery we can only imagine in our dreams. We are quite sure that we will find great surfing and diving spots here. Neither of us has ever been to any of these locations and we can’t wait to get closer and start to research in more detail and plan our trip o this side of the planet. The Southeast Asia should also be extremely interesting. For people like us, mainly raised in Western cultures, Asia is a whole new planet to get to know… the people, the flavors, the architecture, the religion, the way to handle life itself, it is all way special for us and we want to really get to know more about it and learn from them.